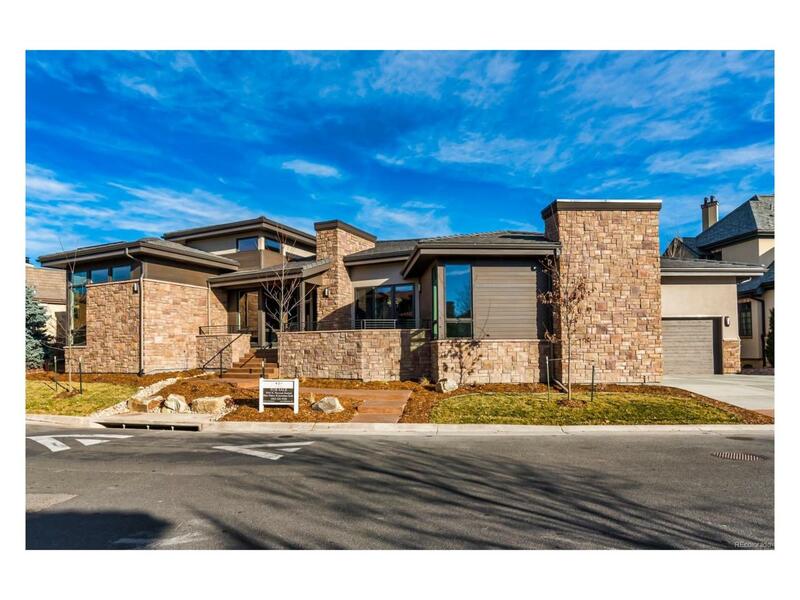 Be the first to live in this new, custom walkout ranch backing to the 10th fairway of Cherry Creek Country Club. Amazing views from nearly every room of this transitional/contemporary style home. Open great room floor plan, formal dining room with adjacent butler pantry/wet bar. One-of-a-kind kitchen with adjacent catering/prep area and huge pantry. Study with sliding glass barn door and incredible ceiling beam detail. Luxurious master with oversized walk-in shower, second bedroom suite on main level. Lower level includes a large media/billiard room with fireplace and wet bar, two bedrooms plus two baths and plenty of unfinished space for you to customize. Enjoy the Cherry Creek Country Club lifestyle including a 18 hole golf course, restaurant/bar, spa, fitness center, swimming pool and tennis courts via separate social or full golf membership options.